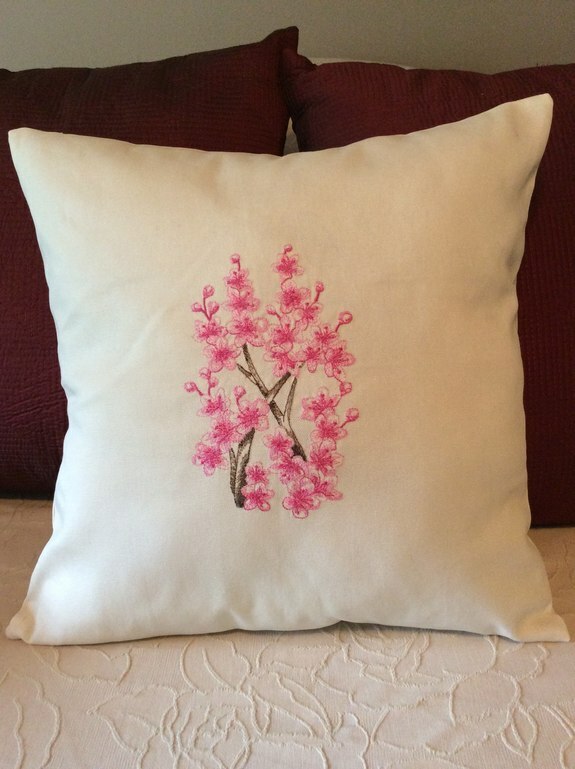 Change the look of any room by adding this Beautiful Embroidered Cherry Blossoms Pillow Cover. 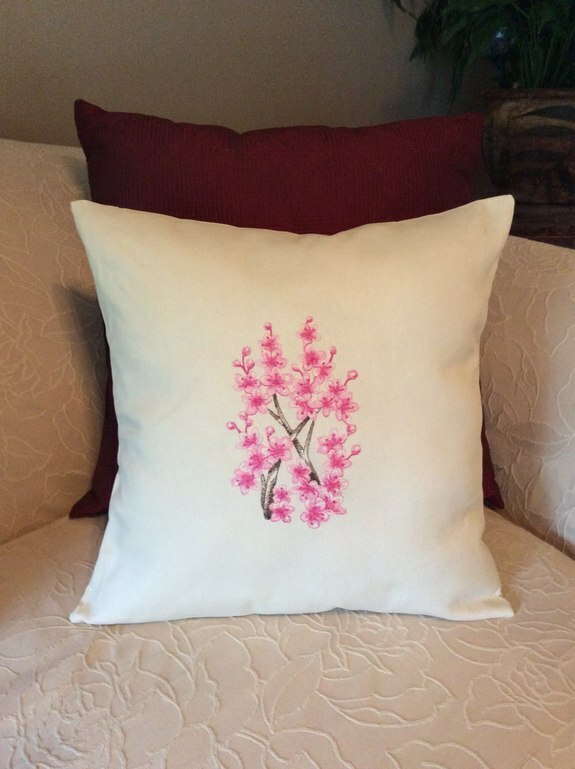 The pillow cover can go right onto a pillow form or over your existing pillow. 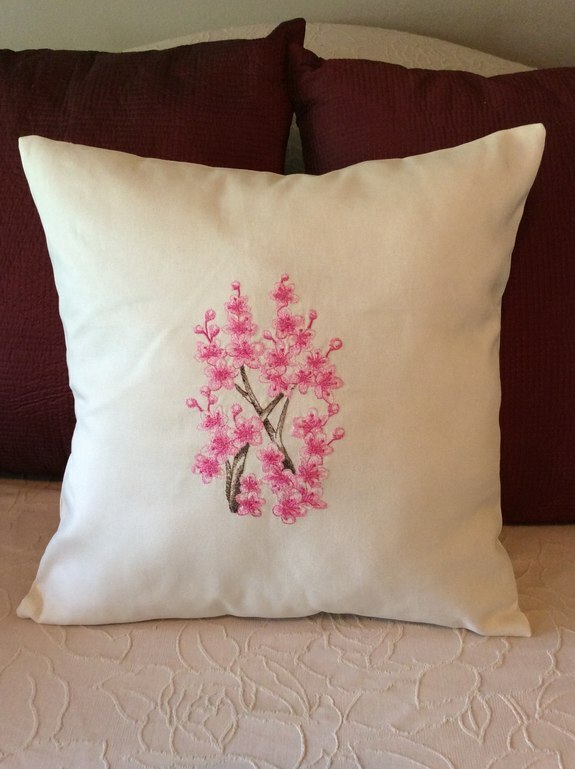 Pillow covers are an inexpensive way to update and add beauty to any room in your home. 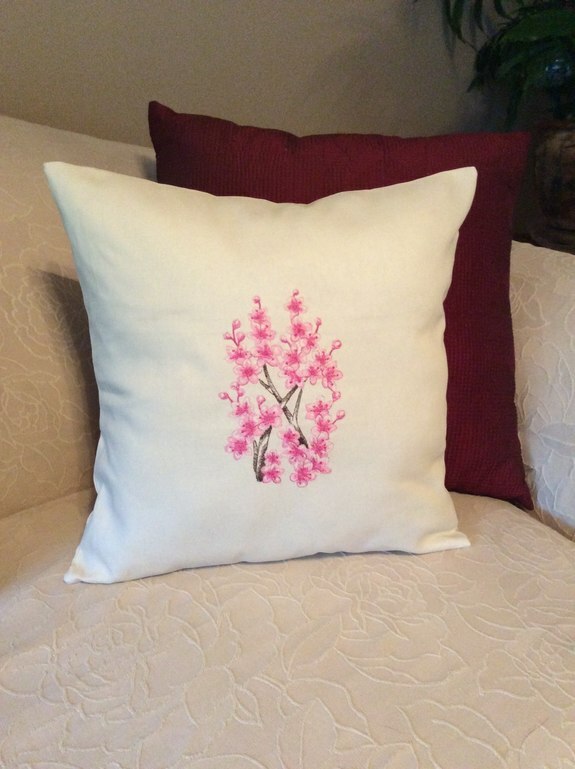 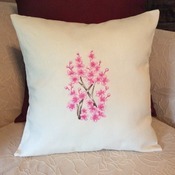 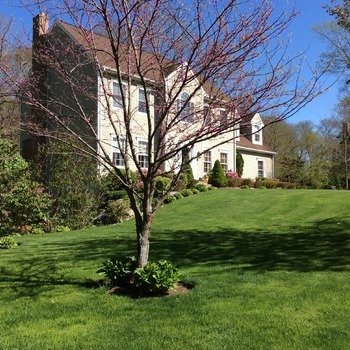 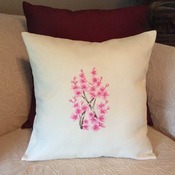 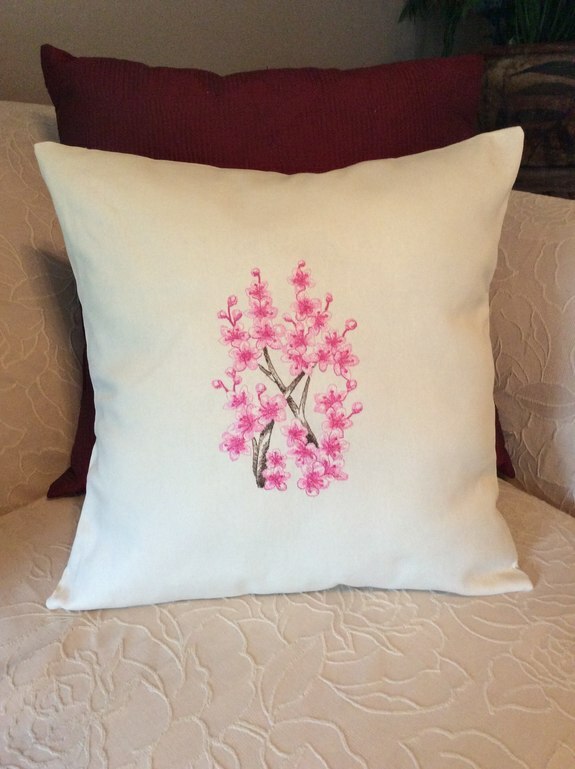 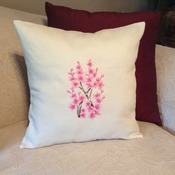 This Listing is for One Beautiful Off White Pillow Cover with Embroidered, Shades of Pink, Cherry Blossoms. 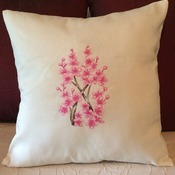 Pillow Cover Size is 16" x 16". 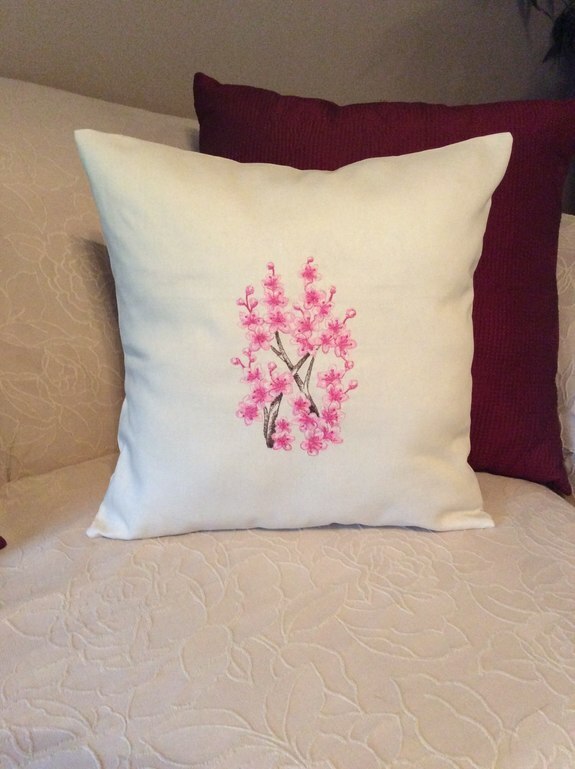 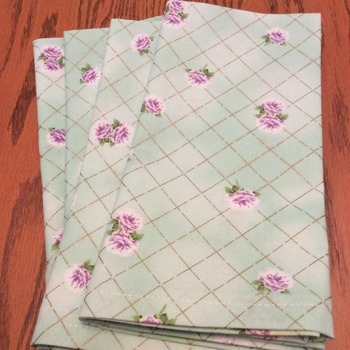 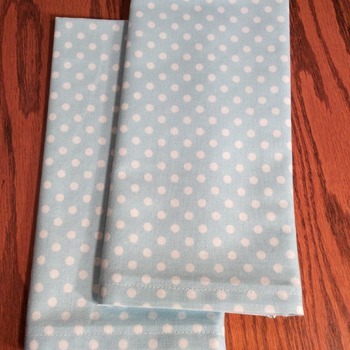 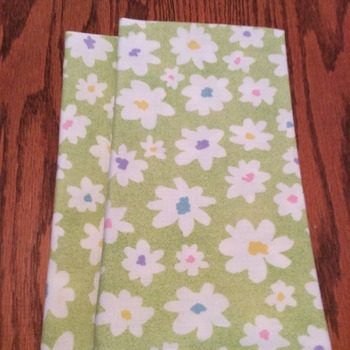 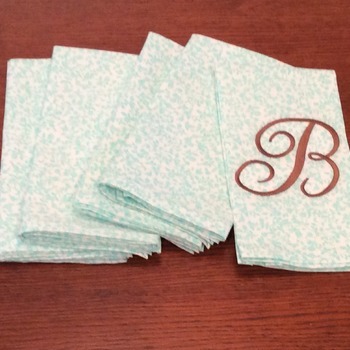 The same decorative fabric is on both the front and back of the pillow cover with an envelope closure on the back. 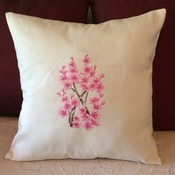 Pillow Cover is 100% Medium Medium Cotton. 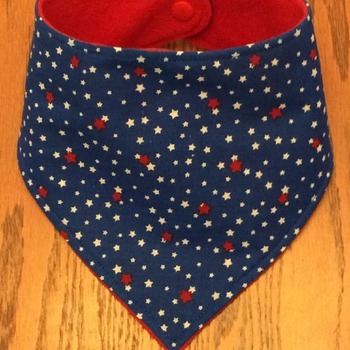 Hand Wash, cold water, hang to dry. 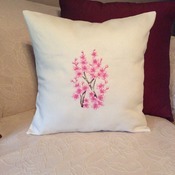 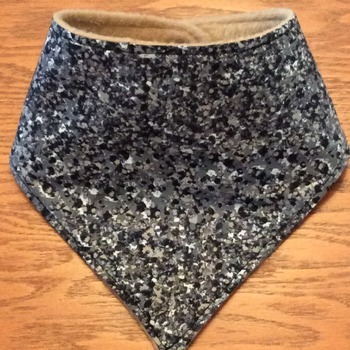 The pillow insert is not included and can be purchased at Joann Fabrics, WalMart etc. 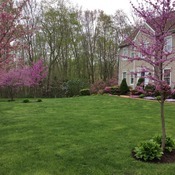 Always from my home to yours, Marie.